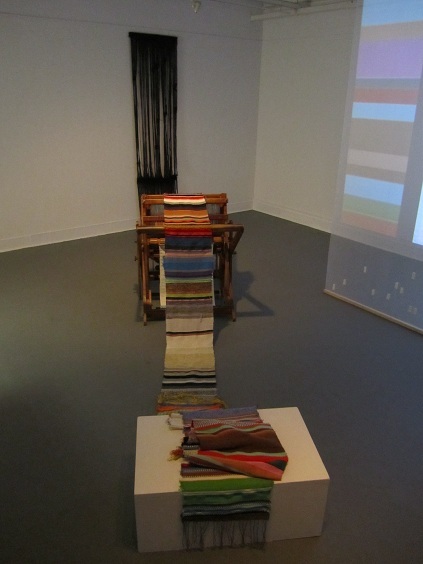 The Daily Weaving Constitution is a collaborative project that conflates the act of reading and processing the daily news through the act of weaving within a conceptual rule-based system. 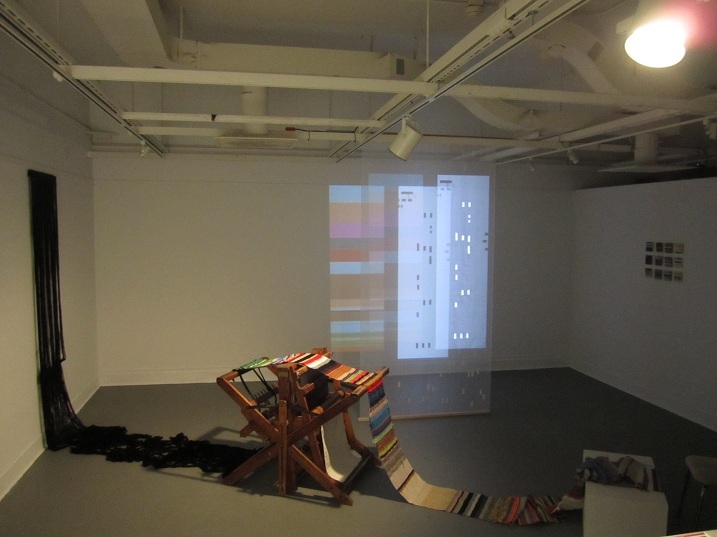 In the project, The School of the Art Institute of Chicago students Alexandra Milukhin (MFA 2012), Arin Han (MFA 2012), and Charles Schneider (MFA 2012) reunite text and textiles, words that are linked both etymologically and historically, suggesting an exploration of the texture of our world. 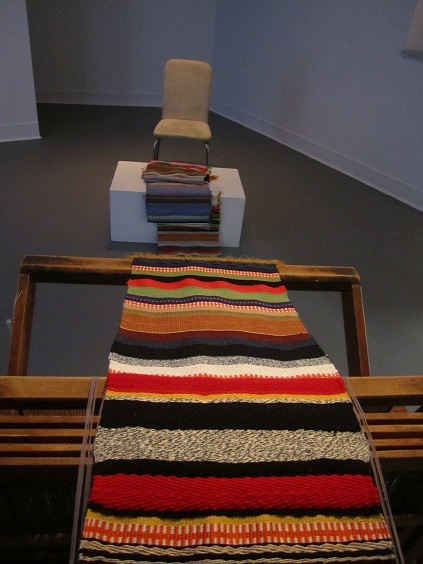 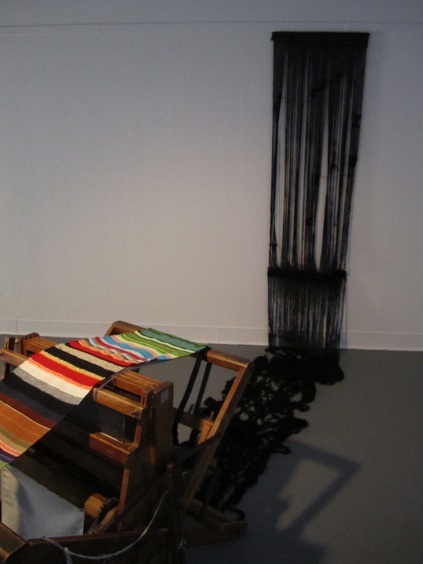 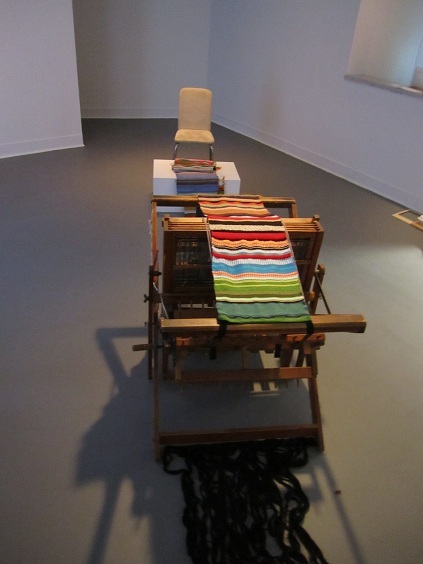 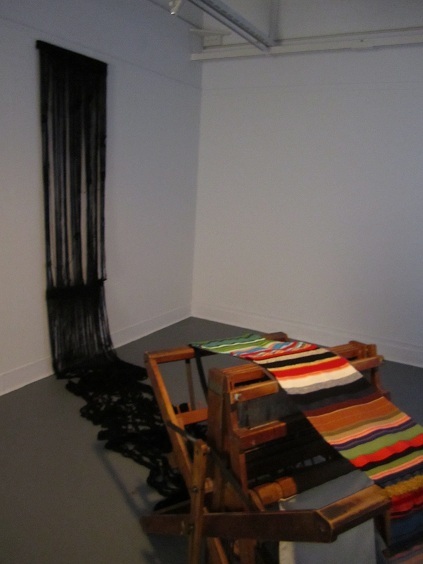 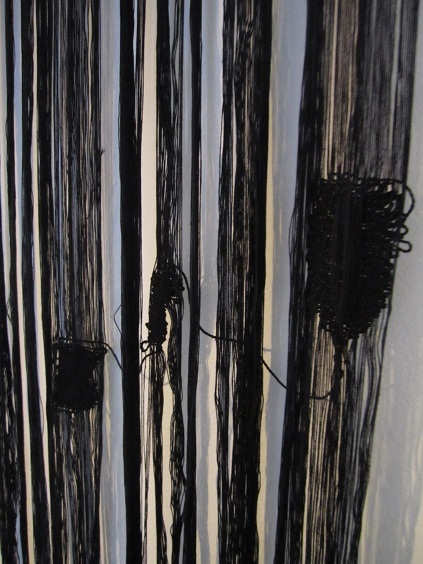 Their daily practice of weaving is an interface between the outside world and the inner, interwoven worlds of the three artists. 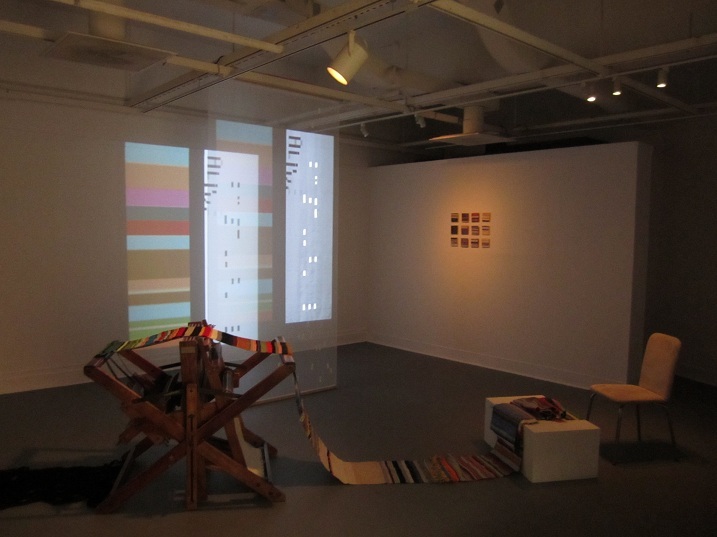 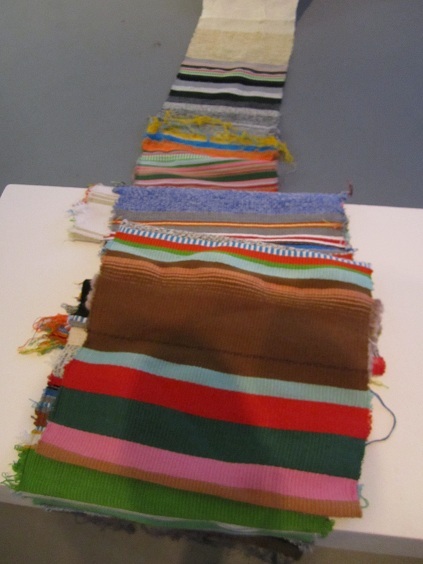 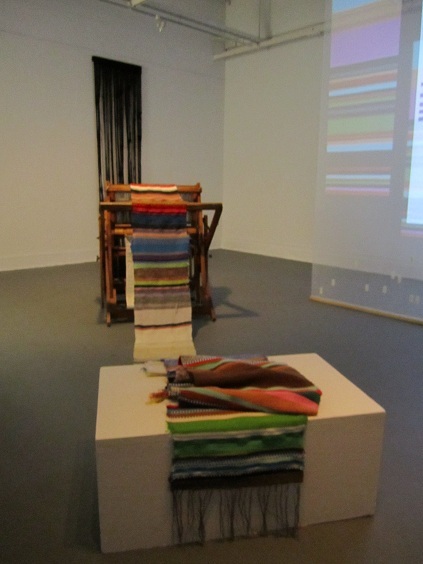 The consensus-based rules for the woven cloth create not only a weaving, but also a record of collaboration, social interaction, and a system of interpreting information, as well as the object itself.